‘Suzie? Come on, enough faffing about. Up on the scales please!’ ordered their instructor, an emaciated woman who’d probably never gone within six feet of a complex carbohydrate in her entire life. ‘Go on then Suze, you can do it,’ her best pal Jayne over at her hissed encouragingly. The brisk, disappointed ‘tsk, tsk,’ from their class instructor as Suzie gingerly stepped on the scales told her everything she needed to know. Four pounds up on last week. Surprise, surprise. Not that poor old Jayne fared much better when her turn came. A mortifying six pounds up in a week. Their instructor almost had to be given oxygen after that one. ‘You know what? This is such a load of horse dung,’ Jayne moaned to Suzie after class, as the pair of them sat in Starbucks, over a miserable zero-calorie herbal tea, that frankly tasted like drinking tepid water, drunk out of a puddle. Thankfully though, Suzie stood firm. ‘Which has to be chocolate biscuit cake, with extra thick dark chocolate sauce on the side…’ Jayne chipped in, hand on her elbow, looking like she was ready to start eating the leg of the chair beside her. ‘Which I really think should be in the Caribbean,’ said Jayne firmly. But then she’d had this thing about Caribbean honeymoons, ever since reading about five star resorts there that were all inclusive. Meaning you could eat and drink what you wanted. All day, every day. Bliss. ‘Do they do all inclusive hotels, with all you can eat buffets?’ was Jayne’s first concern. To be in with a chance of winning a signed copy of Claudia's newest release, just enter via rafflecopter link below. Good Luck! What she finds in Manhattan swiftly turns into a nightmare. 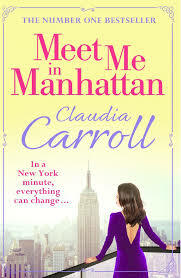 Meet Me in Manhattan is published by Avon and is available in paperback and ebook format. To order your copy, with Free IRL and UK delivery, here. 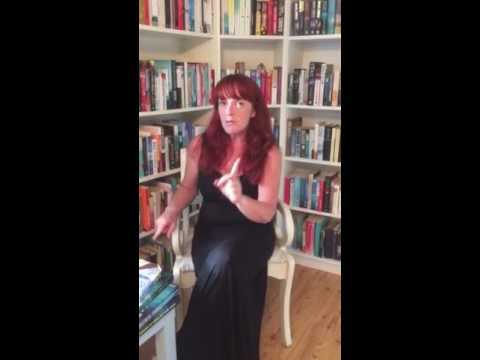 Fab short story Claudia & well done on another brilliant Irish Fiction fortnight Margaret. Personally, I Blame my Fairy Godmother :). Thanks for the amazing event, I really enjoyed it! I never Fancied him anyway.